Brett Schenker at Graphic Policy periodically runs demographic data of comic fans based on data mined from Facebook. Due to popular demand, he has now launched a European edition. 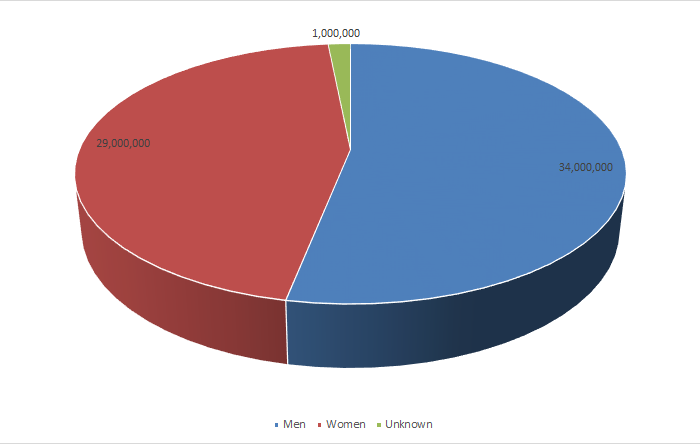 This data is compiled using key terms and likes users have as part of their profiles. Primarily these terms are generic, such as “comics” or “graphic novels,” or else publisher names. Specific characters, creators, or series are avoided as such use does not tend to indicate comic fandom. Over 100 terms are used for this report. This data is important in that it shows who the potential comic audience could be. These are not necessarily purchasers, they are people who have shown an affinity for comics and are potential purchasers and those with an interest. Also, with this being the online and technology realm, due to laws and restrictions, those under the age of 13 are likely under-represented. Europe also has certain other data restrictions that will be discussed below. That’s 19 million more individuals than what was reported for the United States at the beginning of December. Worldwide, there’s an estimated 347,581,854 individuals interested in comics. In November 2016 women accounted for 47.54% while men account for 52.46%. This month men saw some gains, as they grew while women remained the same. 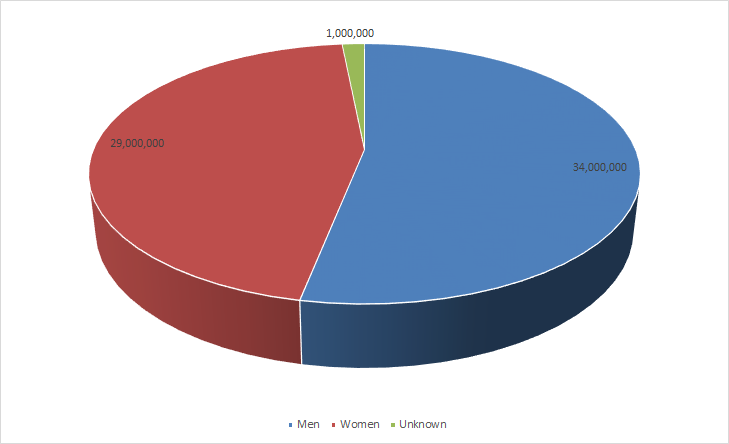 Men account for 53.13% while women account for 45.31%. 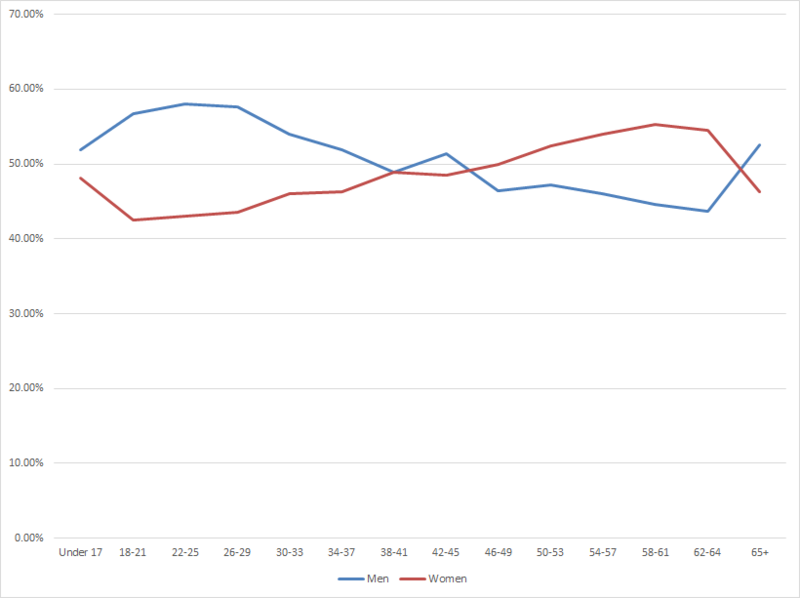 Compared to November the percents and general trends between men, women, and age remain similar, with some exceptions. 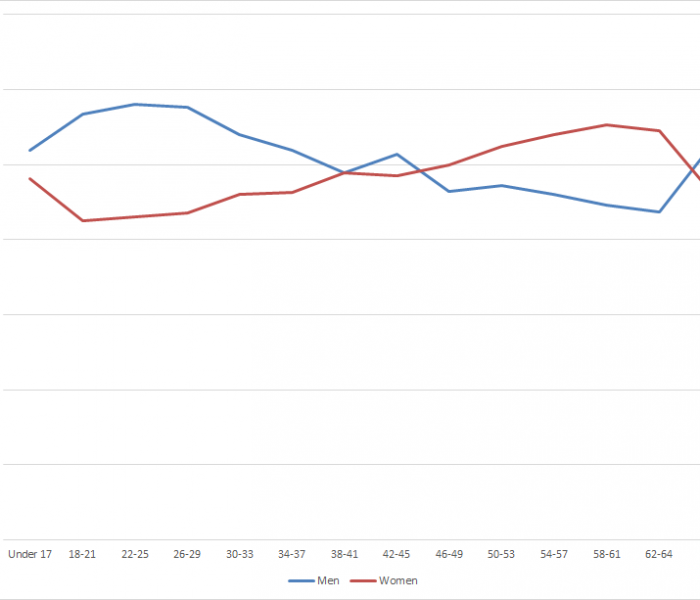 Those age 17 and under actually have a gap, men regain the majority at age 42-45, and there’s a larger gap between men and women age 65+. There are certain changes from November, with big changes among the categories single, married, and unspecified. The first two saw dips of a million or more and the last saw a gain of 3 million. Things remained steady between November and December. The gaps expanded for some, but generally, the populations remain steady. And here’s where data privacy differs. In some European nations this information can’t be reported which means either removing those countries or simply not reporting on this. We’ve chosen the latter for now. Check back soon for a new look at the data and the first comparison of just Europe! First posted here by Graphic Policy on December 15, 2016.